You are at:Home»Great Falls Montana»Fancy Cow! 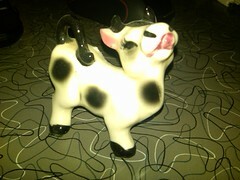 Big shout-out to my friend Nicki for this delightful little cow gift! Her name is Florence.